Do you get annoyed by objects that don't line up by one pixel? Let’s talk. Can you work independently, striving to improve yourself and others? You’re hired. Kantox is a Fintech company developing sophisticated software solutions that help companies managing their FX in an automated way. We are now over 95 people strong team split between London and Barcelona and have raised over €20M. We just got awarded for the third year in a row the Deloitte Fast 50 UK and Deloitte Fast 500 EMEA! We are a young team which loves heavy challenges and doesn't compromise on execution, speed and quality. We always strive for excellence and have each other's back. So, if you are a hard-working team player who likes to be challenged and wants to join one of the most sophisticated B2B Fintech on the European scenes, keep reading! 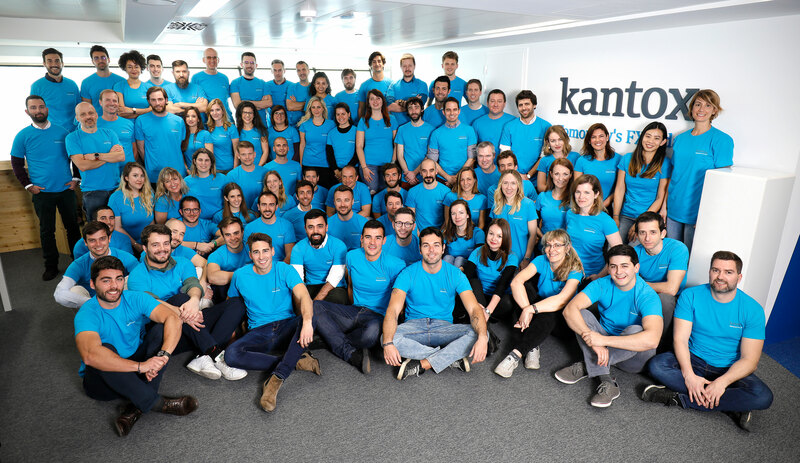 The Tech department at Kantox is a team of experienced professionals that love complex challenges. More often than not, we’re pioneers in what we do - education and re-education in programming is how we manage to stay on that level. We’re looking for developers with a cool head, warm heart and at least one foot on the ground. · At least 2 years of professional experience in Angular, React, View etc.